As long as you’re living, life is going to happen. People often use the phrase, “Go with the flow” and this gives them the validation to live their life haphazardly. No great athlete has used this as their mantra; they have all lived with purposeful intent…spending hours on the basketball court perfecting that hook-shot or years perfecting that extraordinary drive on the golf course. We must almost have this type thinking when it comes to our financial wellness. If you are like most of us, you did not have any financial literacy classes in school nor did we receive any teachings in your home. I don’t know how society thought that we would be productive and wise when it came to our finances! I meet people all the time who don’t have a budget, they are just going with the flow and their money is flowing right out the door. It’s ok to start where you are and not be ashamed, again, life happens. It could have come in the form of a divorce or maybe you were helping your ailing parents purchase the medicines that they needed or maybe you were trying to impress people who didn’t matter. There are places that offer the resources to help you get out of whatever jam you are in. The first step is to admit that you need help! Do you know how much your net pay is and how much your monthly expenses are? Do you have a plan for the next year to pay down your debt? If you can’t answer even one of these questions, you may be living a haphazard financial life. We cannot keep starting over in our families from generation to generation. It’s time to start taking responsibility for what you have been given: your life and your family’s legacy. Proverbs 13:22 says, “That a good man leaves an inheritance for his children’s children”. I’m not saying that you cannot enjoy the fruits of your labor while you are here, but live purposely with intent and security for the future. Jackie Whitehead’s hometown is Tuscaloosa, Alabama. She has had a love of numbers and helping people for years. She started her professional career as a consultant in the IT field and loved it for a great many years. She has always had a heart for helping people, so when she retired from the IT field she decided to become a consultant in financial services. Like IT, being a financial wellness consultant enables her to work with numbers and “put the pieces together” for her clients. Jackie is a contributing writer for “BlackLifeCoaches.net”, the site for certified life coaches in the black community and “LinkedIn”, the professional networking site. You can also find her speaking around the US and in her community at: churches, civic events and on the radio about financial wellness. Her financial wellness company, JJ Consults, will take you from creating a personal or business budget to retirement planning. 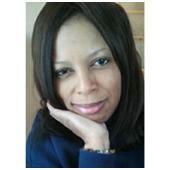 She can be reached at: jackie@jjconsults.com or 205-378-9352.